Back in 2006 I bought an Isaac Mizrahi for Target wallet in bright blue and silver on sale for just $12. It seemed perfect for years until recently I noticed the the metal details tarnished, seams were coming loose and the threads were grey and pieces started to fall off. For awhile I searched for something similar that could fit a lot of cards, coins and a checkbook but it was all too expensive and didn't feel right. In this dreary winter with no snow when the cold seems pointless, I found myself a perfect cure in pretty, bright colors. Banishing gloomy feelings and my decrepit old wallet. On a trip to Century 21 (a discount department store), I chanced upon a bright pink and beige Kate Spade mini wallet. I never thought of getting such a small wallet but it holds all the essentials and makes my bag so much lighter (a concern when you lug your giant camera everywhere). I especially love the shapes and color of the laser cut leather. Its like a blast of happiness every time I open my purse. Oh I totally agree on using bright colours during winter, wish I would do it more often though. Your wallet is lovely. I too, passed from big ones, carrying everything, to a basic smal one where I can carry the essentials. Excuse my hopelessly basic response...OMG BABIEZZZ! That sounds really great. What a lovely find! Bright colours during winter are essential - everything and everyone in London is grey, so a pop of colour is always needed (even in the form of a pretty little purse)! That is so so pretty, love all the cut outs and the colour. I really need a new purse, English notes are apparently much smaller then American ones so none fit! Kallie, thank you so much for following my blog (and your comment). Your blog is one of my favourite ever so it really means the world! Have a nice rest of the day (I believe it's midday over there)! Oh so pretty!! I love it! A little pocket full of sunshine! I'm so happy for you! I have a wallet I bought two years ago and I'm going to be so sad when it goes kaputt. You and that wallet were obviously made for each other. Kismet! That wallet is very pretty! I love your wallet, it's so cute! I love the bright color. This makes me want to shop, I have had the same wallet since highschool. I know. I'm normally no great fan of pink, but that is seriously a super fun wallet. Oh, how pretty! It's nice to have quality in the things you use often because they'll last longer and give you more pleasure. I also just got a new wallet from one of my favorite stores (Tumi). 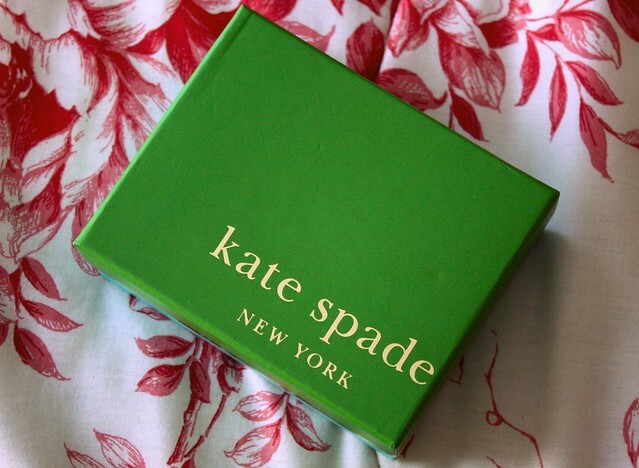 I have a lime green Kate Spade wallet I got an an outlet a few years ago and it makes me so happy every tune I use it! This is such an amazing piece! I love the color and the cut-outs! Oh my, this little wallet is gorgeous. I recently downsized from a clutch sized wallet to a little zipper pouch too, I forgot how great it is to have less junk to carry around. Really cool new wallet! I love the color and the laser cut print on it too. I recently had to buy a new wallet too because my old one was falling apart. Holding lots of cards is essential! It's so hard to find a good wallet. I only got an old coin purse but it's where I keep my plastics and other bills. Its so true, its got to be "just right" because you use it EVERY day. For me, nothing is harder than finding a new purse though. Ugh. Agony. where can i find this?? its soooo adorable!!! I can't find this wallet online anywhere, and my daughter REALLY wants it for Xmas. Help!